The SNP has been accused of “deflecting genuine concerns” about its council tax plans. 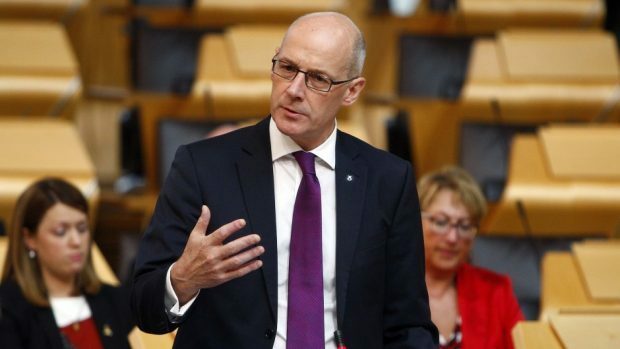 Education Secretary John Swinney sought to cool criticism of the changes yesterday, amid accusations north-east homeowners could fork out tens of millions of pounds to fund schools elsewhere in the country. Mr Swinney claimed “all council tax income that is raised in all local authority areas will be retained in those local authority areas”. But Scottish Conservative MSP Ross Thomson accused him of trying to fob off the concerns of local residents. It is thought north-east homeowners will be disproportionately hit by the SNP plans to raise tax on band E-H properties, because of high property values in the region. Mr Thomson, who is party spokesman on further education, higher education and science, said: “It is disappointing that Mr Swinney continues to deflect genuine concerns that money raised through increases to council tax will not be spent locally. “We know that the funding will be clawed back from local authorities like Aberdeen City and Aberdeenshire to be spent on national priorities. Scottish Labour MSP Lewis Macdonald also raised concerns with the Education Secretary regarding the teacher recruitment crisis in the north-east. Mr Swinney responded that Mr Macdonald’s point was “thoughtful” and said he “looks forward to hearing more from him and the authorities that he represents about that”.